CDC Software – Real Time. Real Data. Real Success. CDC Software’s cloud-based CTI solutions empower companies to quickly and cost-efficiently integrate their Nokia (Alcatel) Telephony and Freshdesk CRM systems. Mint interface available. CDC Software’s cloud-based CTI solutions empower companies to quickly and cost-efficiently integrate their Nokia (Alcatel) Telephony and Freshdesk CRM systems, giving call center agents the information they need to delight customers on each and every call. With CDC, agents are delivered caller information via CTI screen pop – name, location, service history and more – before they can even say “hello.” Users, tickets, and items are created in real time, with no manual work necessary. The CDC Nokia (Alcatel) Telephony - Freshdesk CRM integration solution combines a robust core engine with prebuilt connectors, dramatically reducing the time, effort, and expense of call center process automation and integrations. 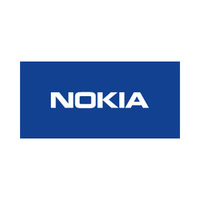 CDC currently supports Nokia (Alcatel) and over a dozen telephony systems out of the box, with the ability to develop other systems within weeks. Current telephony systems supported "out of the box" include:  Avaya, Cisco, Digium-Asterisk, Digium-Switchvox, Siemens, Vonage Business, inContact, Broadsoft, Mitel, Interactive Intelligence, Nokia (Alcatel). Other telephony systems supported based on customer requirements. A CDC Platform implementation, due to the complex nature of most enterprise customer's telephony environments, requires an initial discovery session with the customer. During this session, information will be gathered about the customer's existing telephony system. 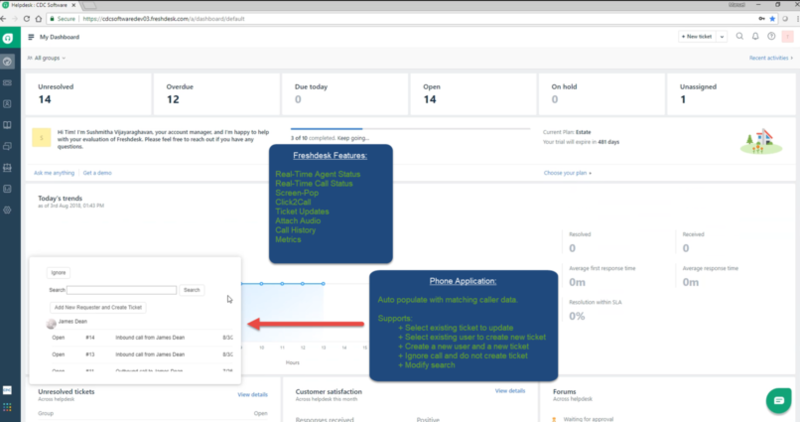 On completion of the discovery session conference call, the platform will be configured with the rules required to enable the desired behavior and deployed within the customer's premise, cloud, or hybrid environment. Typical installations are completed within 2-3 weeks. Join a community of developers and start building. Start your 21-day free trial. No credit card required. Don't have a Freshdesk account?